We’re named after the idea of being a ‘PR Dynamo’: someone who, with their own energy, powers results for clients. 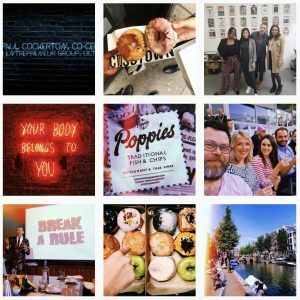 We offer a wide range of roles within Dynamo PR that, dependent on your skills, experience, and inclination, can see you developing a creative strategy for a client, connecting with an influencer to drive a Kickstarter project, or advising on social media to build up a responsive and loyal audience. In a recent staff survey (Oct, 2018) the #1 thing staff liked about Dynamo was the culture and the people they worked with. Would you like to be part of this? We’re looking for Junior Account Execs, Account Execs, Account Managers, in either consumer / lifestyle PR or business / technology PR roles. We believe that our most important asset is our staff, and we offer competitive packages, comprehensive training and career development, as well as attractive, premium benefits designed to attract the best staff, at all levels. If you’d like to be part of Dynamo, we’d love to hear from you. Check out our current jobs.